Spur-of-the-moment Craigslist score. The guy was asking $10, but took our $5 offer. The main reason we got this is for TJ&E. The price-per-game breakdown is a little more than we would typically pay at a yardsale, but we don't mind too much. Yardsaling season may very well have begun for us! Although we only hit 6 sales today, we made purchases at half of them! Most of the sales were listed on Craigslist, as our newspaper sources have yet to kick in fully. We had actually emailed today's first sale last night, and received a response that they had 'some old system' and that they'd pull it out for the sale. We arrived right when it started, and they had a dirty Genesis 1 marked $5. We pointed out that there was no A/V cable, and offered $2 CIF. The guy was really friendly and said "Sure, just take it away!" Then he asked if we were the ones who emailed, we said yes, and he said "Well, I'm glad it was you guys who got it!" So that was nice! While driving, we saw a guy putting up a sign for a sale and asked for directions. Upon arriving, I noticed a bucket of old Legos (early 80's), a lot of broken platforms, marked $5. They were asking too much for what was there, and I didn't want it enough to start haggling. 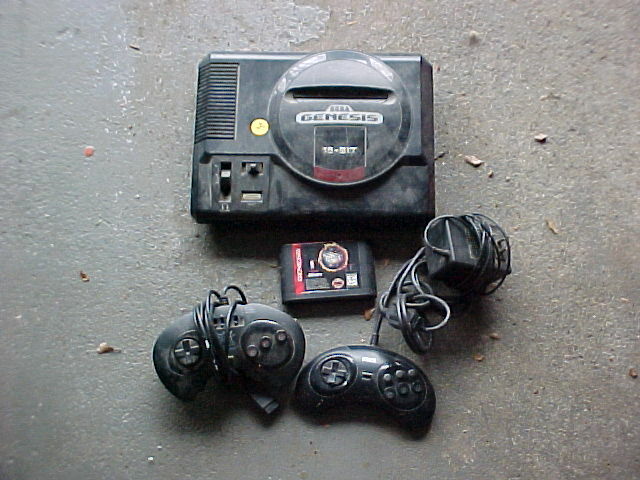 Another table had a GenII with Sonic and Knuckles in it, a stack of four complete Gen games (Tiny Toons, Lion King, Jeopardy, and some other crappy game), and a shopping bag with another Genesis and a bunch of carts in it. We asked the bulbous white-trash lady running the sale how much she wanted, and she told us "$15 for the stack of boxed games, $30 for the bag, $20 for the other Genesis." She then went on to say "I know that a lot of these games are expensive", (pointing to Lion King), "I paid 90 bucks for that and I was on a waiting list for over a week to get it!" Ok lady. 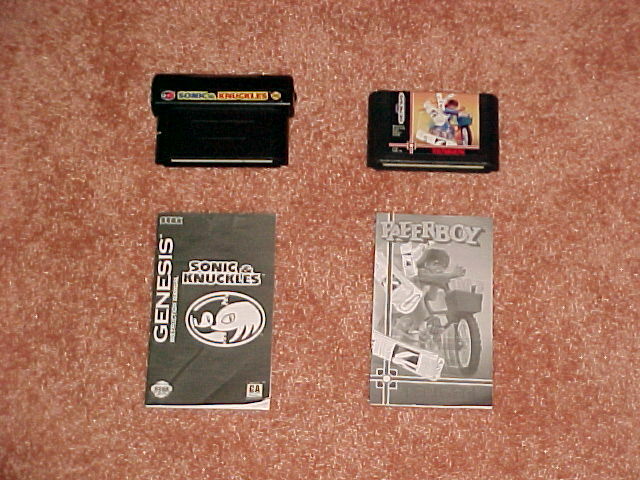 Sonic and Knuckles and Paperboy both had manuals, so we offered $1 CIF and she took it after some hesitation. Our last find came at an indoor flea market, located up at the top of a huge hill. Funnily, the only videogames in the place were at the very last table. 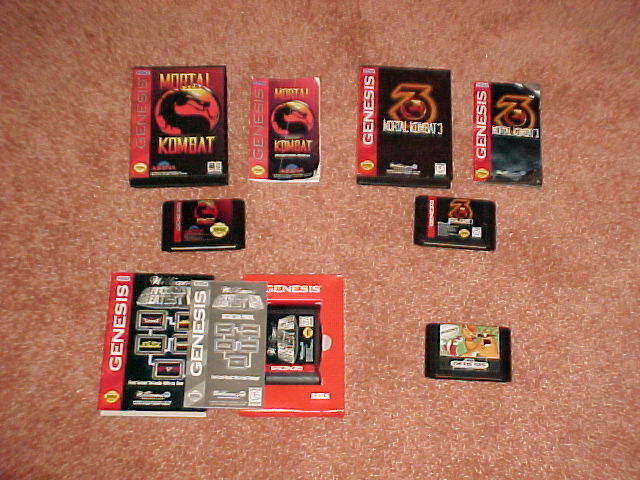 Some young kids were running it, and they had 2 Genesis II's for $10 each, a NES for $30, and some assorted GEN and NES carts asking $1 each (we were surprised at the relatively decent asking price). 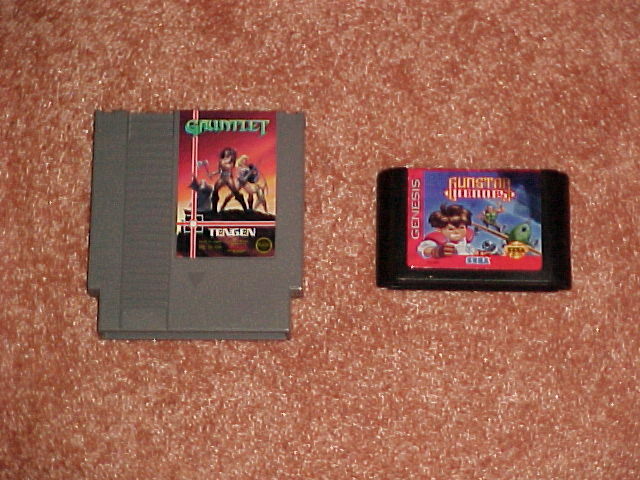 We saw Gunstar Heroes and knew we definitely had to get that, and the only other game that was decent enough was Gauntlet. We offered $1 CIF, and after a slight hesitation the kid took it. All in all today was great, and it felt a lot like a typical yardsale day (aside from the slight chill in the air). Just the fact that we spotted an 'unadvertised' sale made it feel like the yardsale season is beginning. Today's finds really got us pumped for the season, and we can't wait for the warmer weather and higher volume of sales.